All appliances are very important to people’s lives since they are useful tools and that’s why appliances service is equally important because it can keep them in great condition, prolong their life and prevent significant problems. 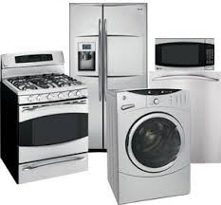 There are many appliances and each one of them requires special expertise and for this reason you would need the assistance of the Appliances Service Delta for effective repairs and exhaustive inspections. We are a reliable company, which stands out from competition in British Columbia thanks to our excellent teams, great tools and wide knowledge. 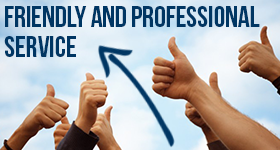 We offer services ranging from simple inspections, maintenance, installation and repairs. We replace the broken parts and we can evaluate the condition of your fridge, consult you about the use and cleaning processes of the dryer and keep both homes and enterprises safe with functional appliances. Commercial services are equally important to home appliance service and they are both taken care with speed and unbelievable zeal since we are all passionate with our work and love to serve our clients in Delta to our best capacity. We have the best solutions when you are dealing with any emergency problem and we are thorough with maintenance services and appliance repairs making sure all commercial appliances are working fine. Many businesses base their job on kitchen appliances and domestic fridges keep families healthy. For these reasons, Appliances Service Delta is quick and respects your time, never postpones appointments and is never late, responds fast and ensures high quality repair services. It doesn’t matter whether you need our assistance for small appliance repair or preventive checking, we will arrive fast and problems will belong to history.